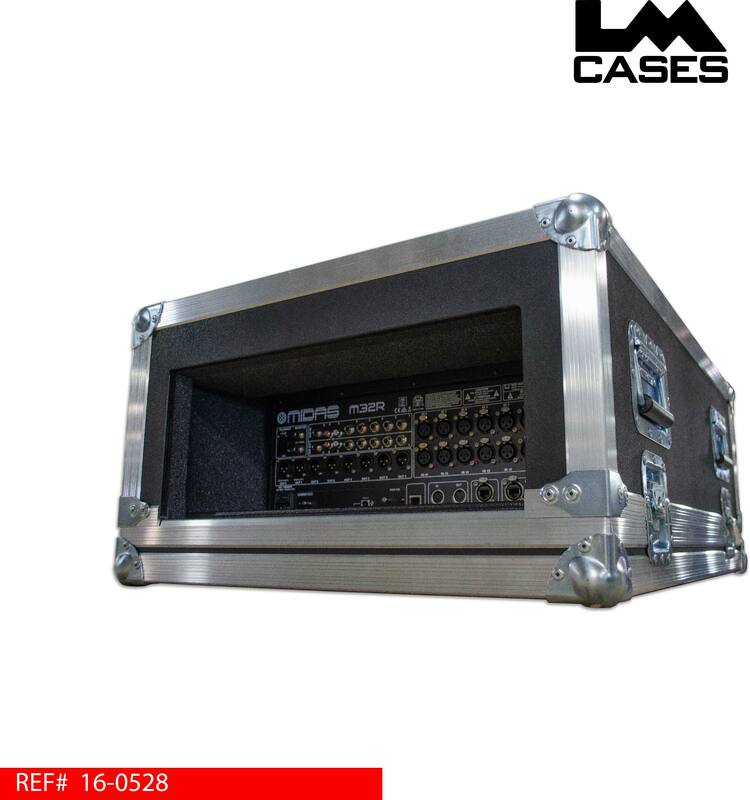 As part of an installed sound system, our client had the unique need to store and protect the venue's Midas M32R while leaving it wired into the system. 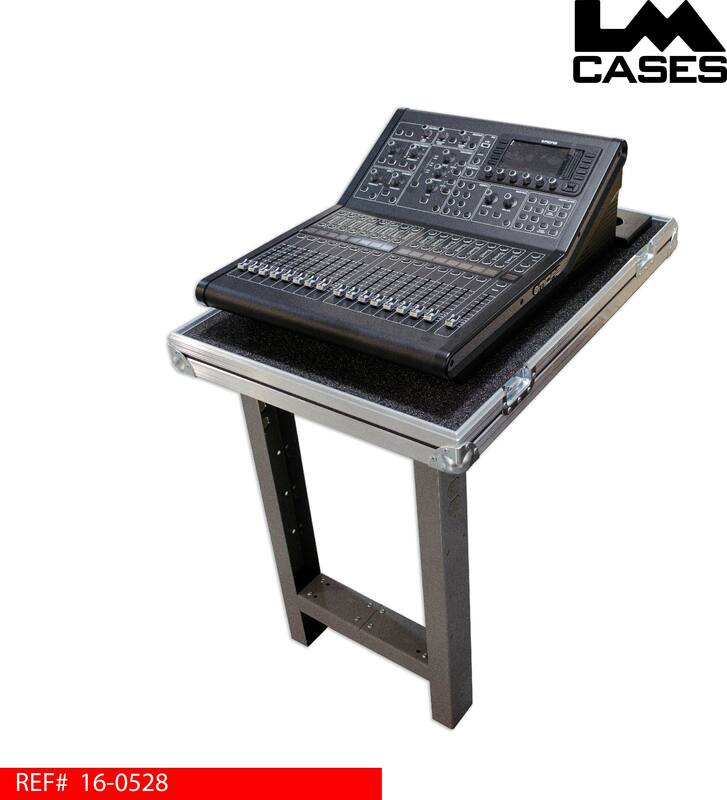 Because of limitations at the venue, the console could only be placed on a ledge that was not deep enough to accommodate it. 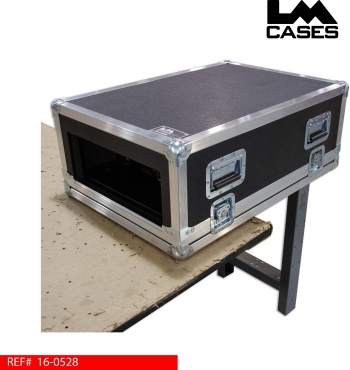 The solution was to build a case that could be secured to the ledge at the rear and hang off at the front. 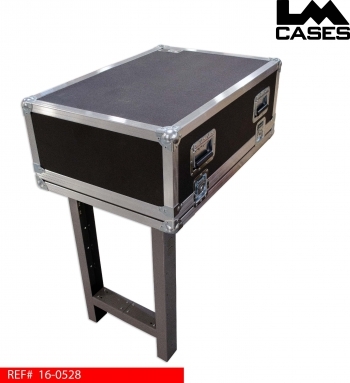 To accomplish this, a set of table legs were cut to allow the case to use the rear ledge as a support and safely support the front weight via the legs. The case features a large cutout at the rear to allow all cables to remain connected during storage, the user simply unlocks and remove the lid to use the console. The case interior features standard 1" foam lining and a rear spacer block to keep the console at a fixed position in the case. The exterior is built out of 3/8" plywood and is laminated with black ABS plastic.